When NASA's New Horizons spacecraft lifted off from Cape Canaveral, Fla., on Jan. 19, 2006, with a mission to rendezvous with the most distant celestial body in our solar system, Pluto, project scientists had a confident estimation as to when it would reach its final destination -- down to the second. 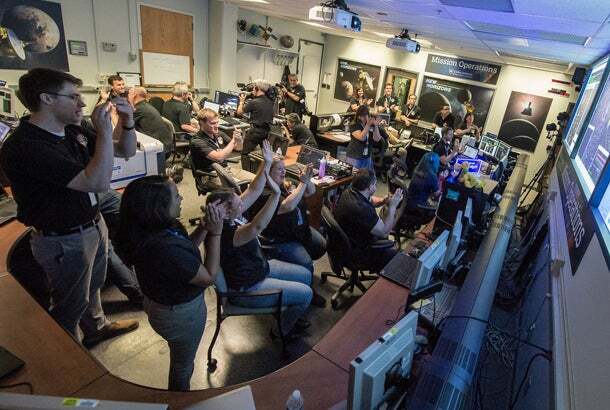 When New Horizons reached Pluto on Tuesday, July 14, 2015, nine and a half years and over 3 billion miles later, it did so within 72 seconds of the original estimated time -- an accuracy rate of 99.99 percent. As the data from our planetary neighbor (sorry, I still call it a planet) continues to trickle in, providing us with amazing images and untold information about which to ponder and debate for years, we as a business community should embrace this accomplishment and allow it to provide us with inspiration and fresh enthusiasm to pursue our most grandest dreams. 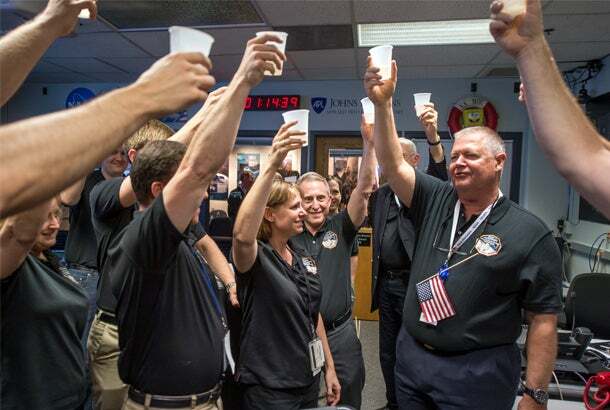 For leaders in industries across the globe, here is what you should take away from the accomplishments of the New Horizon’s mission to Pluto this week. 1. Bold missions require bold visions and bolder execution. Every human accomplishment, from reaching Pluto to the assembly line to mapping the human genome, all share a common beginning -- they all started as an idea. An idea, however, will always be just an idea without passionate leaders to map, navigate and execute upon them. If you have been considering a business idea, now might be a good time to give more thought to how it could be bigger, hairier and more audacious. With the right inspiration, your idea might disrupt an industry or even change the world. 2. Great accomplishments require great teams. To get a piece of highly sensitive scientific equipment to travel 3 billion miles, arrive in one piece and function properly requires an army of very, very intelligent people. As much as we like to read about great entrepreneurs building the greatest companies, the truth is the success of every business is dependent on the strength of its team, and like a relay race, a team is only as strong as its weakest members. It is therefore crucial that you find, attract and retain the most effective people for your organization and be certain to hone your leadership skills to lead them toward your goals. 3. Long missions requires proper expectations. Significant achievements often require significant time. New Horizons took nine and half years to reach Pluto, but the mission also required years of planning and development before it ever made it to the launch pad. 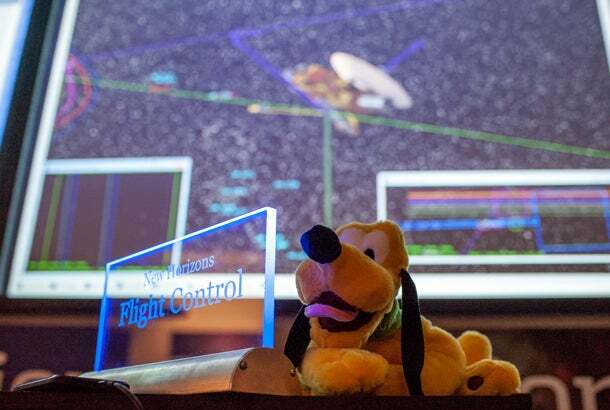 Even after years of anticipation, New Horizons spent just a few hours zipping past Pluto collecting data. The trove of information and photos from its seven onboard instruments takes four and half hours to travel the distance back to Earth, and because the "connection" between us is 50 times slower than a dial-up modem (thanks to this thing called physics), it will take over 16 months to receive all of the data collected from that very short encounter. It is enough to make even the most patient people crazy. 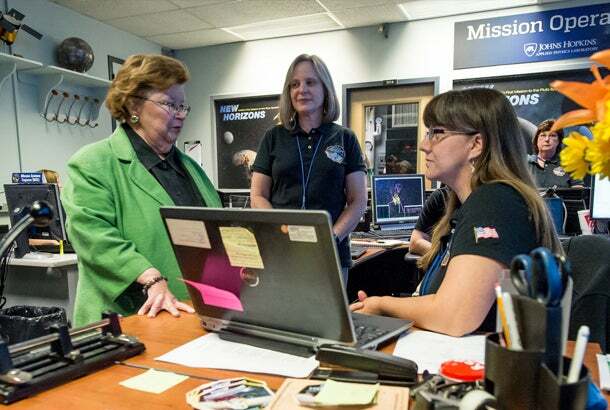 Like NASA scientists, business leaders need to understand how to lead teams through incredibly long and arduous times in pursuit of a grand goal. It is important to recognize and celebrate achievements along the way and build a great workplace and business culture that keeps everyone engaged. 4. Planning should never be underestimated. To get New Horizons to Pluto, scientists had to work around Pluto’s 248-year orbit around the sun as well as that of Jupiter’s, as the spacecraft was flown by the giant planet to leverage its gravity to catapult the spacecraft to its final destination. The planning was so precise that New Horizons, after flying more than 3 billion miles, was able to fly within 7,800 miles of Pluto’s surface. To put this in perspective, this is akin to firing a grain of sand and hitting a golf ball from over 50 miles away. While very few businesses will require NASA scientist-level planning, every business strategy requires some degree of foresight and continual review and revival to be most effective. 5. Boundless confidence is your fuel. 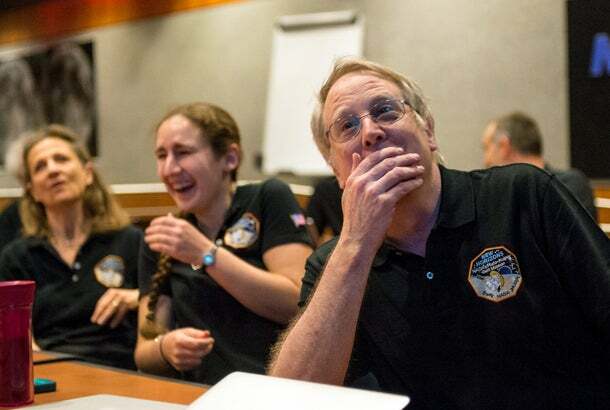 Traveling at 31,800 miles per hour, New Horizons is the fastest spacecraft ever launched from earth. This meant that a piece of space debris as small as a grain of rice could have punctured the equipment and rendered the entire mission a failure. Even with this kind of risk, NASA scientists endeavored on the mission because they were confident in their team, strategy and goals. Setting out to accomplish something significant is never easy, especially after you have planned and agonized over the details. Great entrepreneurs, however, are ready for and will never back down from a challenge and pursue goals with a passion and zeal that rivals that of any planetary explorer. It is the same confidence and enthusiasm that leads and motivates teams through the troubled times when the business may be most fragile. As a lover of science and all things astronomy, I am awestruck that the human race was able to launch a spacecraft the size of a grand piano at an object smaller than our own moon, traverse the solar system for 3,463 days, more than 3 billion miles and come within one Earth diameter of its target. Again, cue your mind blowing. It is no small feat, and I hope all of us can draw from the inspiration this accomplishment provides to continue our pursuit of knowledge and exploration and encourage those with grand dreams and unbound confidence to find the will to act on them.